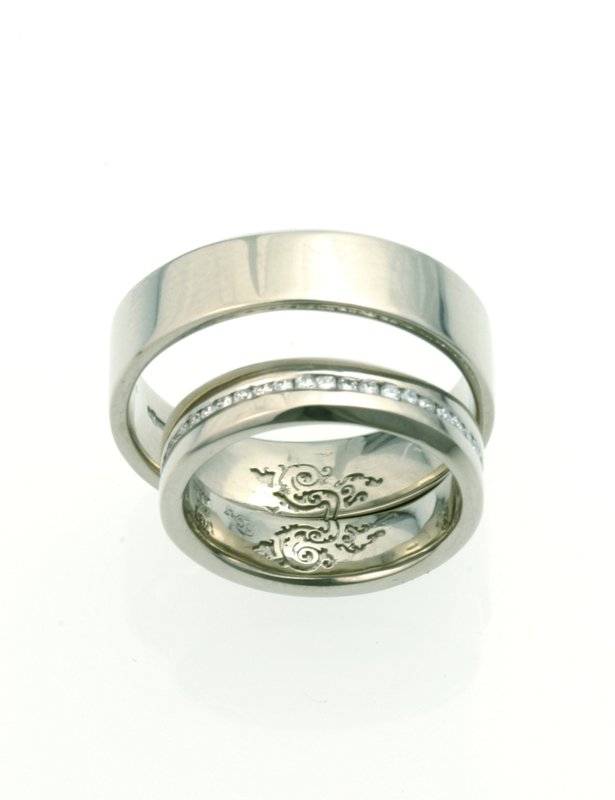 The ideas that have gone into the insides of our wedding bands are always inspired by the couples themselves. Here they brought us in photographs of decorations on temple walls they had taken on their travels through Asia. Patterns always look great and the mirror symmetry naturally lends itself to being split between the two rings.